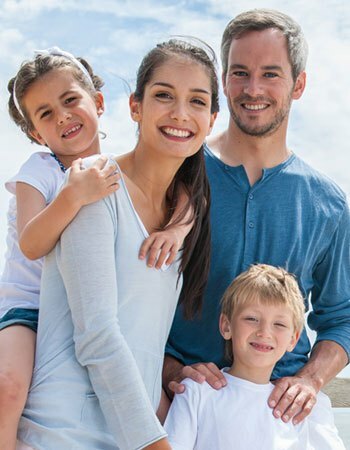 At Whispering Pines Dental, we provide compassionate, comprehensive dentistry in Las Vegas, Nevada, and we also welcome our friends from the surrounding areas of southwest and northern Nevada, including Henderson and Summerlin, Nevada. We are proud to provide our services to patients of all ages. We strive to provide a relaxed environment at our friendly and energetic practice, and feature the latest technologies to ensure high-quality, comfortable treatments, including digital x-rays, E4D same-day restorations, CAD/CAM technology, and laser dentistry. We invite you to visit or call our office today to learn more about our dental services and to schedule your visit with Dr. William Robison. Dr. William Robison is your experienced and caring dentist in Las Vegas, Nevada! Our dentist strives to create a comfortable environment, bringing a mountain-lodge atmosphere into the deserts of Nevada to help patients relax while he provides quality dentistry. Please contact Whispering Pines Dental today to schedule your next appointment and experience our gentle, compassionate care. Dr. William Robison offers cosmetic dentistry to enhance the beauty of your smile. Call and schedule your consultation today! Dental implants are a great replacement for missing teeth. Call to schedule your consultation with our experienced dentist! Whispering Pines Dental features E4D same-day dental crowns. Call to make your appointment with our dentist and learn more! We love welcoming new patients! Please call our office to learn more about us. We look forward to meeting you.